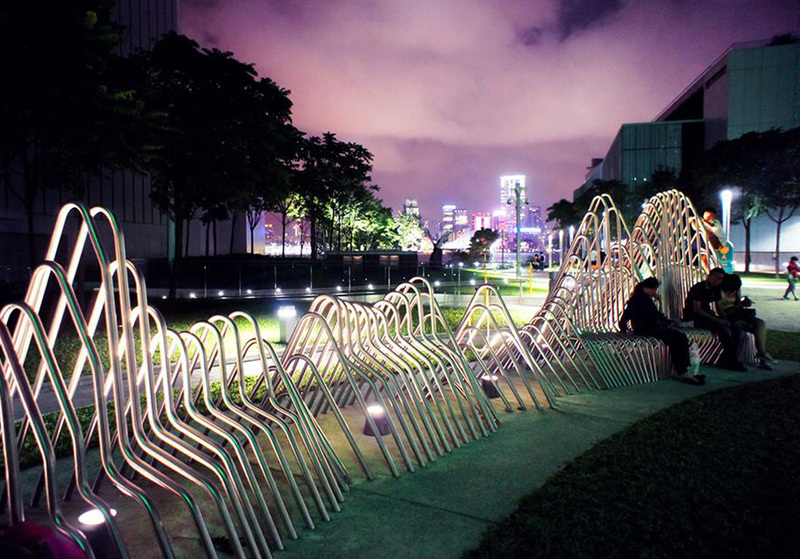 CONTRACTOR: ASIA SIGN ENGINEERING CO., LTD.
SOUNDSCAPE TAKES ITS FORM THROUGH THE VISUALIZATION OF CHINESE NATIONAL ANTHEM. THE MELODY AND RHYTHM ARE INTERPRETED INTO AN UNDULATING ARCADE OF CURVACEOUS FRAMES. FROM DIFFERENT ANGLES AND INTRIGUES VISITORS TO LINGER AROUND. OPERATES THE PERCUSSION DEVICES INSTALLED ON THE FRAMES. THE DISTANCE BETWEEN THE DEVICES RESPONSE TO THE TIME INTERVAL BETWEEN THE NOTES. 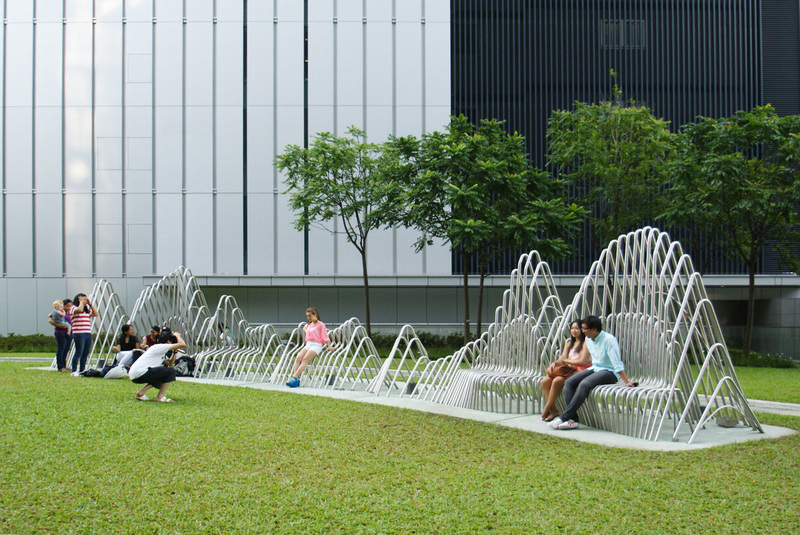 ENDLESS POSSIBILITIES OF CREATIVE USE AND BECOMES A FUNCTIONAL BACKDROP FOR THE LAWN. WELDED TOGETHER INTO FIVE MODULES AND DELIVERED TO SITE FOR QUICK INSTALLATION. AND MINIMIZES THE NUISANCE AND IMPACT CAUSED TO THE SENSITIVE GOVERNMENT HEADQUARTERS SITE. The curvaceous form is a response to the site context. The abstract form comes from visualization of Chinese National Anthem. It recalls the rockery in traditional Chinese garden. Citizen interacts with the sculpture in their own creative ways. The appearance of the sculpture varies dramatically when viewed from different angles and intrigues visitors to linger around. 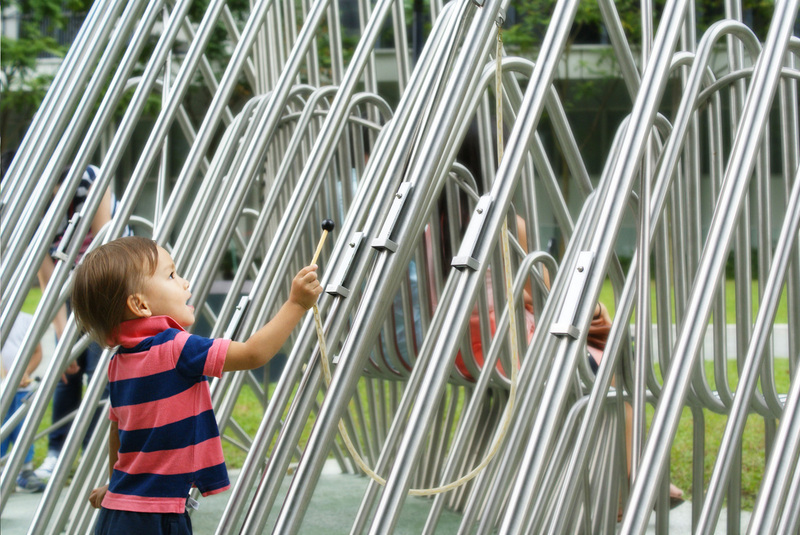 The musical devices brings public participation to the next level by providing multiple senses of enjoyment. 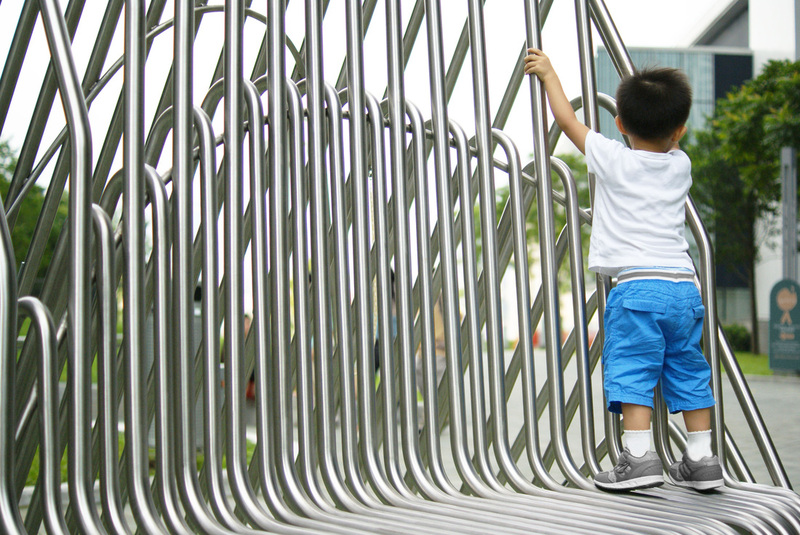 The percussion devices are installed on the frames at controlled intervals so that the melody of National Anthem can be played when visitors strike them. 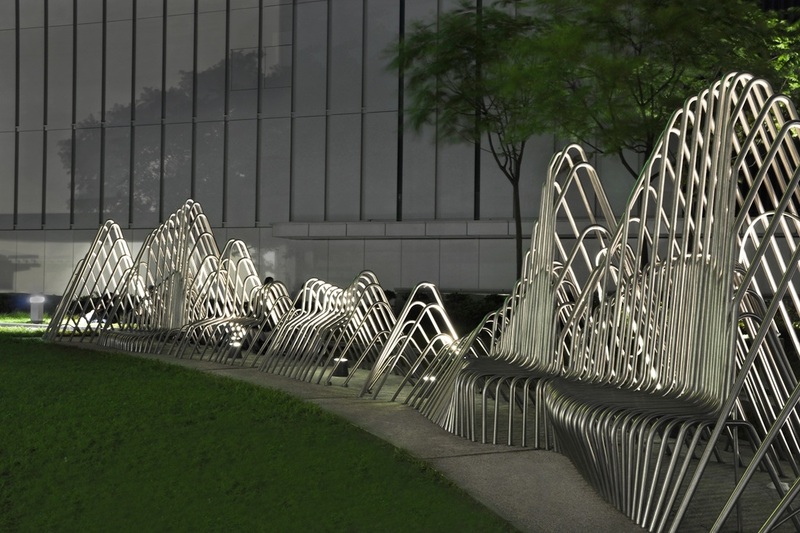 The sculpture locates right under Hong Kong Government Headquarter. Innovative use of ordinary material- stainless steel pipes. Soundscape becomes an attractive encountering point and social hub for locals, minorities and tourists.